A book is invariably the culmination of one’s research, knowledge, and experience. A project like this simply would not come together without access to the incredible information that’s available to us here in the information age. 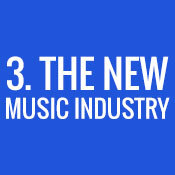 This page lists all of the links and resources mentioned in The New Music Industry: Adapting, Growing, and Thriving in The Information Age book. Some were cited as sources, while the majority were mentioned because they can offer additional value to you, the reader. I encourage you to bookmark this page and come back to it often, as there is plenty for your to dig into. 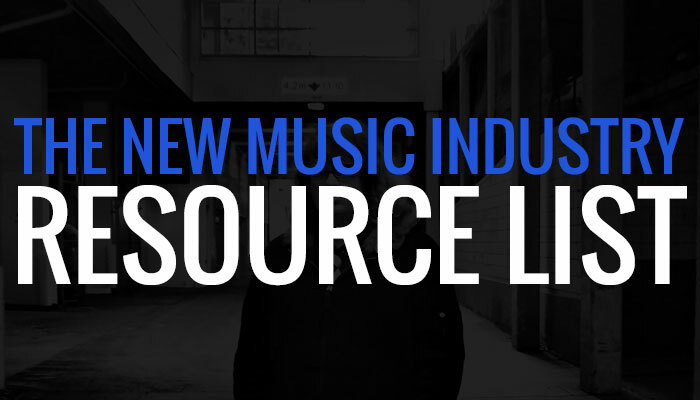 Here’s The New Music Industry resource list! Click on the images below to browse links by chapter. Why are certain numbers/chapters missing? Because some of them do not contain references to tools or resources! Independent Music Promotions: Independent Music Promotions is James Moore’s independent music PR company and music industry blog. 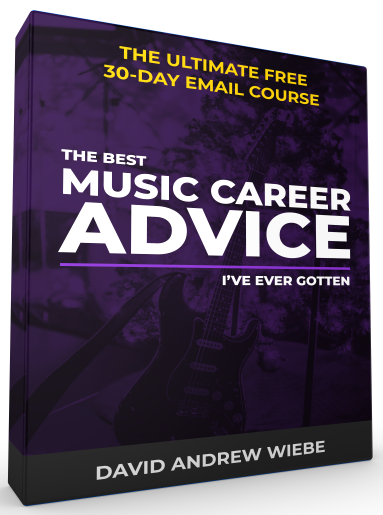 Your Band Is A Virus – Expanded Edition: James Moore’s fantastic eBook covering viral marketing for independent musicians. YouTube Stats: Sites Has 1 Billion Active Users Each Month: I wanted stats on YouTube usage, so I quoted the figures from this article. 4 Steps to Film and TV Placement: one of three Helen Austin articles on film and TV music placements. Next Steps to Music Licensing: the second Helen Austin article. 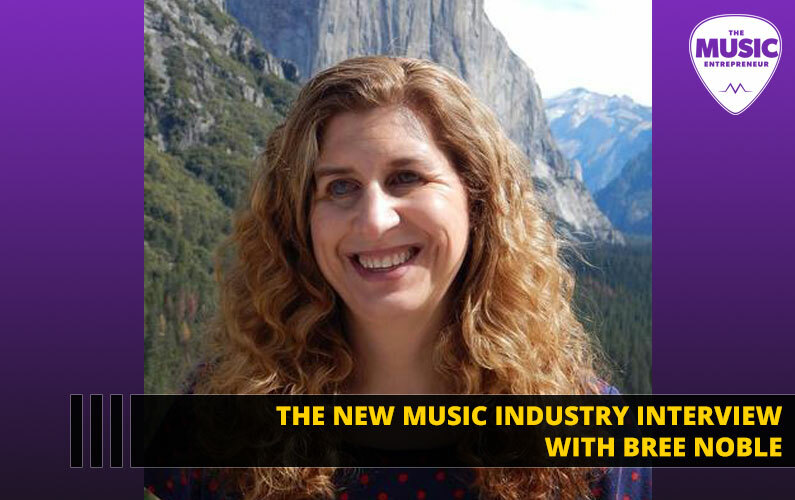 7 Steps to Finding a Music Publisher: the third Helen Austin article. The Book List: recommended books for personal growth enthusiasts. The Audio List: recommended audiobooks for personal growth enthusiasts. 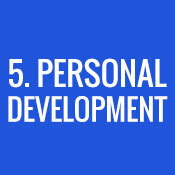 Personal Development: a section of my blog dedicated entirely to personal development. Steve Pavlina: Personal Development for Smart People: the man that introduced me to personal development. I owe a great deal of who I am to this man. #011: Daniel Guy Martin Interview – Solo Acoustic Guitarist in Calgary, AB: Dan shares some incredible insights into setting goals and achieving them. Bonus: What I Would Do Differently: some thoughts on how I would go about my music career if I had it all to do over again. Meetup: a place for you to find special interest meetup groups in your locality. Joe Satriani’s Guitar Tips: a video in which guitar virtuoso Joe Satriani shares several tips on how to improve. Evernote: a digital dumping ground for ideas, notes, thoughts, and so on. Audible: a marketplace for audiobooks. 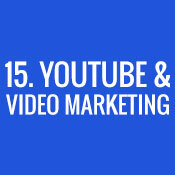 YouTube: for a virtually endless supply of personal development material. Quickie Interview: Larnell Lewis: Larnell shares his mindset on how he achieved success as a drummer. Making a Plan: 5 Obstacles to Overcome: making a plan is a critical part of building a music career. If you have any objections to building a plan, here are some ideas on how to overcome them. Mint: an app for tracking your finances. Jonathan Ferguson: my good friend and up-and-coming singer/songwriter. Jonathan Coulton: novelty songwriter who gained a great deal of popularity on MySpace and who is still active today. Don’t Let Rejection Stop You: how some of my early attempts at booking tours went awry. 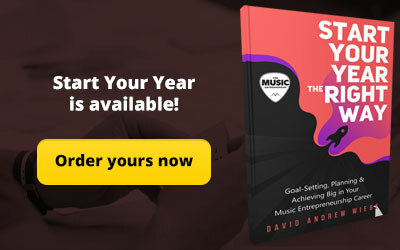 #032: David Hooper Interview – MusicMarketing.com: David shares a lot of great insights into the music industry and about the effectiveness of postal mail campaigns. Toolbox: an ever-expanding page where I post recommended resources for musicians. How to Make An Effective Band/Artist One-Sheet: one of the key pieces to succeeding in your radio campaigns. Live365 Internet Radio Network: a place to discover internet radio stations. SHOUTcast: a place to discover internet radio stations. How to Run Your Own DIY College Radio Campaign: a very straightforward and practical approach to getting your college radio campaigns off the ground. Captain T: the story of how Captain T managed to get airplay from 75% of the stations he sent his music to. Bryan Farrish Marketing: if you’re looking for help with your radio campaigns, this is a good place to turn. 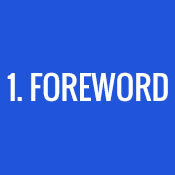 Radio Promotion 101: articles on radio promotion via Bryan Farrish himself. The 20 Things You Must Know About Music Online: Andrew Dubber’s seminal work. 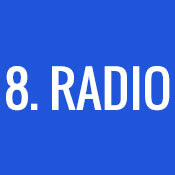 SomaFM: host to some of my favorite radio stations. Fiverr: for hiring affordable service providers. Tom Hess: a well-known, business-minded musician with multiple sources of income, including music instruction. Ultimate Guitar: my go-to place for finding reliable guitar tabs. Power Tab: free, guitar tablature authoring software. Guitar Pro: similar to Power Tab, but more feature-rich, and it costs a little bit of money. 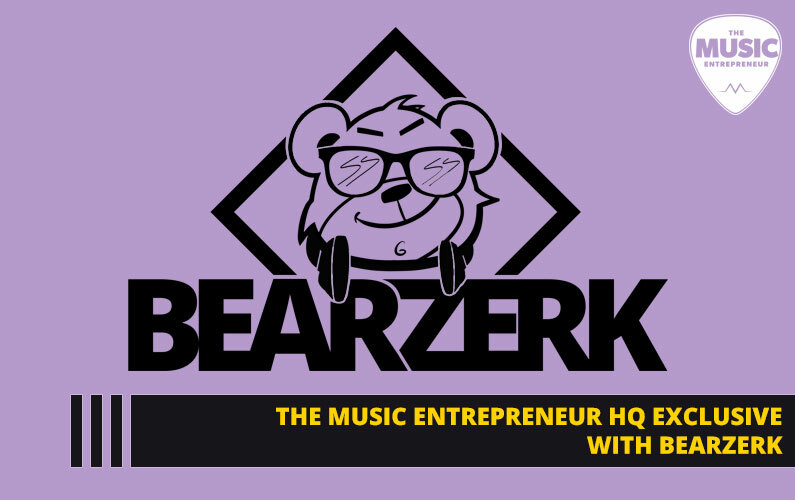 #028: Music Instruction with Patrick Zelinski in Calgary, AB: learn about music instruction from the man who often takes on 50 to 60 students a week. 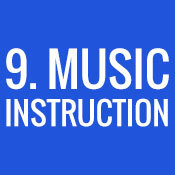 #050: Is Substitute Music Instruction Right for You? : learn how substituting for other teachers can be a solid earner for you. How to Write and Send a Press Release: the basics of writing and distributing press releases. PRWeb: the best press release distribution service I’m aware of. 24-7 Press Release: another press release service. Press Exposure: a press release outlet that can be used for free with an EzineArticles account. Tim Francis: Alberta marketing expert. Bonus: Booking Shows: some thoughts on booking shows for yourself as well as others, and the benefit of that. WordPress: you can go here to download the latest version of WordPress. WordPress.com: and you can go here to start a WordPress blog for free. Google Calendar: a digital calendar solution. Google Drive: a place to keep your blog post ideas, business documents, and so on. 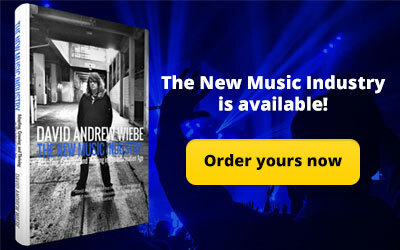 How to Promote Your Music Successfully on the Internet: David Nevue’s fantastic book. 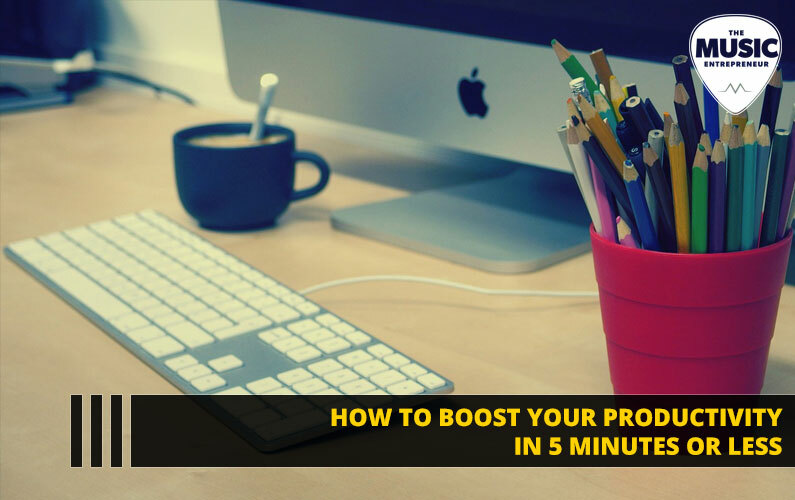 How to Develop a Workflow for Your Blogging Efforts: tips on how to create a consistent, reliable workflow for writing and publishing blog posts. SPI 028: Be Everywhere – Building a Profitable BRAND by Thinking Outside the Blog: a place to learn about the content trifecta as mentioned in the book. Speechpad: for getting your audio or video transcribed. OneLoad: for instantly distributing your video across multiple video sharing sites. Disqus: for managing blog comments and mitigating comment spam. 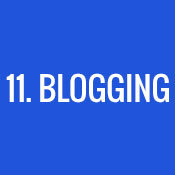 The Ultimate Guide to Blogging as a Musician: a resource that keeps on growing. ProBlogger: a place to learn more about blogging. 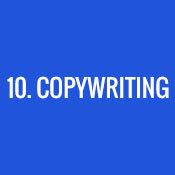 Copyblogger: a place to learn more about writing, blogging, and marketing. Movable Type: another blogging platform and content management system. InfoBarrel: a revenue sharing site for writers. Bluehost: a fantastic, reliable web host. GoDaddy: a well-promoted web host. Register.com: a place you can go to register cheap domain names. Blubrry: a site that provides a variety of tools for podcasters. Learn How To Podcast: Podcast Answer Man Cliff Ravenscraft’s guide to podcasting. The David Andrew Wiebe Guide to Podcasting: pretty much exactly as it sounds. Still a work in progress at this point. Eminence: my favorite EDM duo. SpeakPipe: a tool you can use to collect voicemail from your podcast listeners. How To Grow Your Audience And Market Your Podcast: Cliff Ravenscraft’s guide to building your podcast audience. Making Yourself Noteworthy: Cliff Ravenscraft shares how you can get media coverage for your podcast. How to Start a Podcast – Pat’s Complete Step-By-Step Podcasting Tutorial: Pat Flynn’s extensive guide to getting your podcast up and running. SEO: The Free Beginner’s Guide To SEO: a great guide to turn to if you need to better understand search engine optimization. 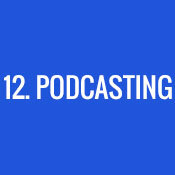 The Future of Podcasting: Social Media: some of my speculations on where podcasting is headed. My instincts may be incorrect, but I still feel that podcasts could be better distributed. The Accidental Creative: Todd Henry shares how creative people can remain healthy and prolific in a sustainable way on his incredibly insightful podcast. CD Baby DIY Musician Podcast: a great resource for DIY musicians. 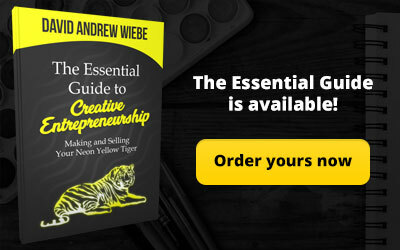 The Creative Entrepreneur Podcast: a place to learn about successful creative entrepreneurs. 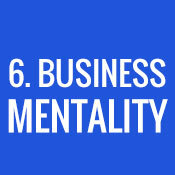 Internet Business Mastery: a podcast that addresses mindset more than anything else. A fantastic show regardless of whether you’re planning on getting into online business or not. 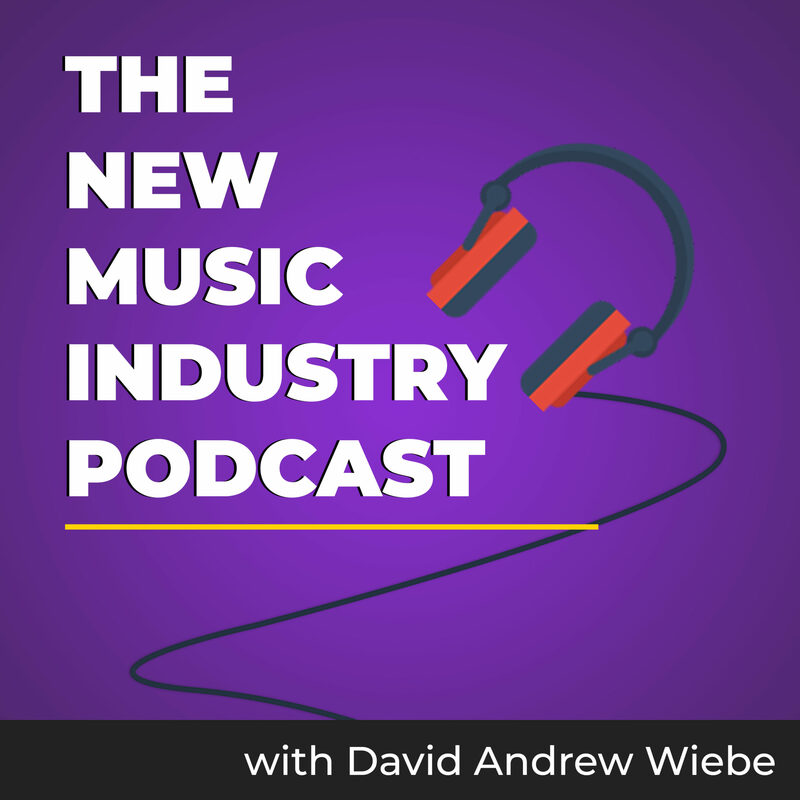 Music Business Radio: a radio show turned podcast hosted by David Hooper in Nashville. 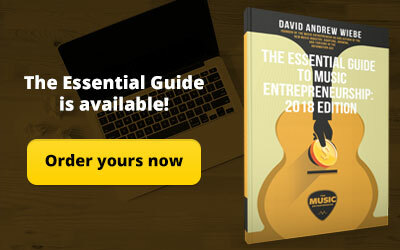 Music Marketing [Dot] Com: David Hooper’s music marketing blog. The Smart Passive Income Podcast: a place to learn about online marketing, business, and of course passive income. 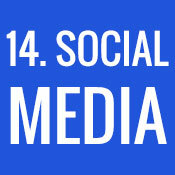 Social Media Marketing Podcast: a great podcast to learn about marketing practices on social media. Social Media Examiner: a fantastic resource for keeping up with the latest happenings in social media. Why a Marketing Mindset is the Wrong Mindset: marketing is an important part of building a music career, but it isn’t the right mindset to bring to everything, particularly social media. Sound Advice TV – Ariel Hyatt and Jon Ostrow Discuss The Dreaded 6%: learn about the horrifying truths of the dreaded 6%. MailChimp: my email service of choice. Why You Don’t Need a Press Kit, Pt. 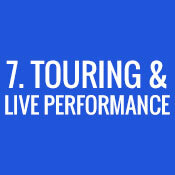 1: How to Book Your Band in the Age of Email: ideas on how you can book shows, and possibly even tours, entirely by email. Elements of a Press Kit [INFOGRAPHIC]: a visual representation of the elements you need to construct your press kit, be it electronic or physical. Success Stories: Amber Rubarth (how to be a full-time touring musician): a great article about how Amber Rubarth became a full-time touring musician. This article also features Rubarth’s email signature, which should copied immediately by musicians everywhere. Buffer: a great tool for automation your social shares. 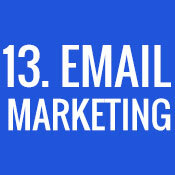 8 Effective Email Marketing Strategies, Backed by Science: important insights into how to get the most out of your email marketing efforts. eBizMBA: a good place to track social media site rankings. Hootsuite: another fantastic automated social sharing tool. This is what I use. TweetDeck: a great tool for power-Twitter users. Kickstarter: for launching crowdfunding campaigns. Maximise the Power of Your Brain – Tony Buzan MIND MAPPING: learn about benefits of using mind mapping – instead of lists – to get your ideas down on paper. How to Run a Successful Time-Based Crowdfunding Campaign: strategies for making your crowdfunding campaign successful. INFOGRAPHIC: The Ultimate Complete Final Social Media Sizing Cheat Sheet: from profile pictures to cover art, the dimensions you need to use for your images on social media sites changes all the time. Use this resource to find out what sizes you need to make your images. 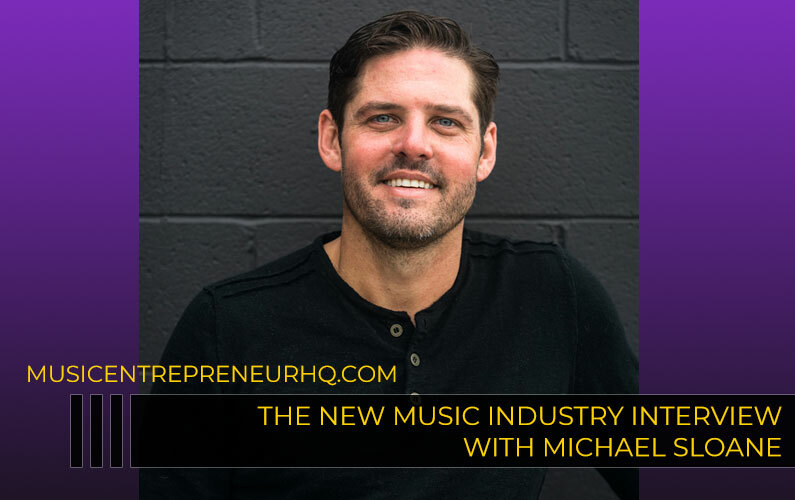 #026: Kevin Pauls Interview – Live Music Producer: a great interview on the benefits of live music production as well as tips on how to build your online presence as a musician. How to Write a Title for your Next YouTube Video: if there’s one thing us musicians could be doing better on YouTube, it would be titles. Watch this video to find out how to craft titles that engage. The Ups and Downs of Batch Processing: batch processing has benefited me in some ways, while in others… well, read this article to find out. I’ve since published some new insights into batching as well. Advertise – YouTube: this is where you would go to advertise on YouTube. More importantly, this is also where they keep the keyword tool stashed away.